Work in Dudley Colliery Village, Weetslade, Northumberland, 1861. The main occupation in Dudley was the colliery, but any settlement would bring in its wake other occupations the, providers business men and shopkeepers, providing services to the miners making the village in to a community and not just a settlement of people who shared the same occupation. 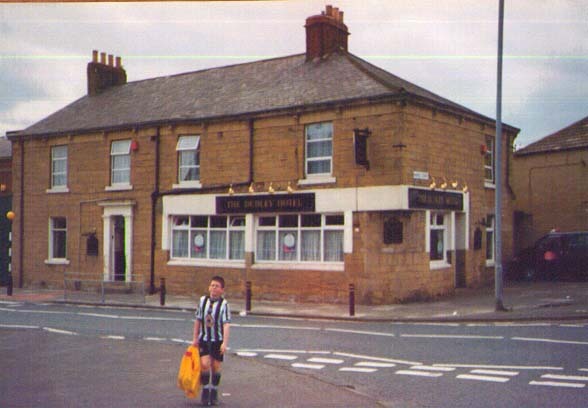 It did not take long for Dudley to have a public house, the Dudley Hotel is shown on a map of 1857and in 1861 it was run John Farmer has wife and her family. It would not just a drinking place but a central meeting place for events that were held in the area as in the case of a shooting match related to by an article in the Newcastle Daily Chronicle, Thursday 10/10/1867. This would have been an event where local miners could have been involved in the fetching carrying and beating for the birds. The majority of the men and boys in the village would be employed in the colliery the youngest worker employed by the pit was 7 years old in 1861. Boys would be employed working traps to help the circulation of air down the mine they would probably work up to a 10 hour shift or work screening coal that is picking out the rock from the coal. The men would be bonded to an employer for a years service this would mean that that man could not work anywhere else if the employer laid the worker off for any period of time he was not allowed to look elsewhere for work. If the employer was making unreasonable demands on the worker like going into a gas filled part of the mine he could fine the worker if he refused to do it. During the periods of union action when the miners went on strike they were risking fines, imprisonment and eviction from their homes. Which is what happened during the 1844 strike against the bonding system when the evicted miners and their families built a shantytown on a lane between Seghill and Seaton Delaval. When collieries went on strike it effected the whole village as the shopkeepers in the village would be totally dependant on the earnings of the miners being spent in their shops. Where it is usually accepted that the miners were comparatively well paid it must be remembered that their job was a physically demanding job. Which would result in the exhaustion of the worker and possibly being crippled by the work. So although the wages can be seen as being high the time period when the miner could earn would be less than a factory worker on less pay who's job it was to operate a machine. This site was created May, 1999 and is maintained by D.J.Kane, Dip. Eur. Hum. (Open) Contact Dave Kane.